Picnics are fun, especially on a sunny day. The best part about summer picnics is that you can hang out with your friends and family while enjoying the warm breeze and tasty food. But, the worst part is deciding on the menu and cooking it. No one wants to go near the oven when summer is at its peak. Don’t worry! Here are 4 easy no-cook recipes you can include in the picnic menu to avoid a cooking mess. Enjoy some crispy veggies in this easy-to-prepare version of a layered sandwich. 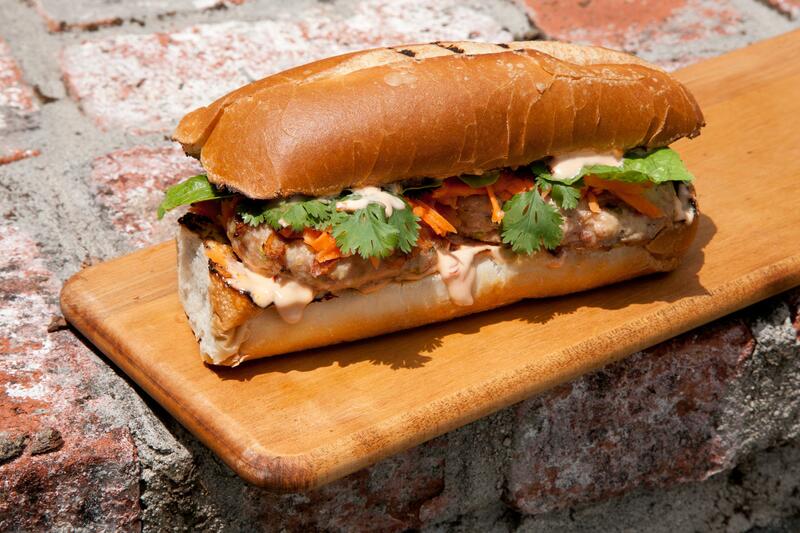 To make this sandwich, mix Asian chilli sauce (Sriracha) and mayonnaise in a bowl. Spread a layer of mayonnaise mixture on the French-style roll top. Put thinly sliced radishes, cucumber, shredded chicken (roasted), fresh cilantro, shredded carrot and thin slices of jalapenos on the roll bottoms. Now, mix sugar, rice vinegar, toasted sesame oil and crushed red pepper together. Whisk the mixture thoroughly. Drizzle the whisked mixture on the veggies and chicken in the sandwich. Put the rolls together and enjoy! 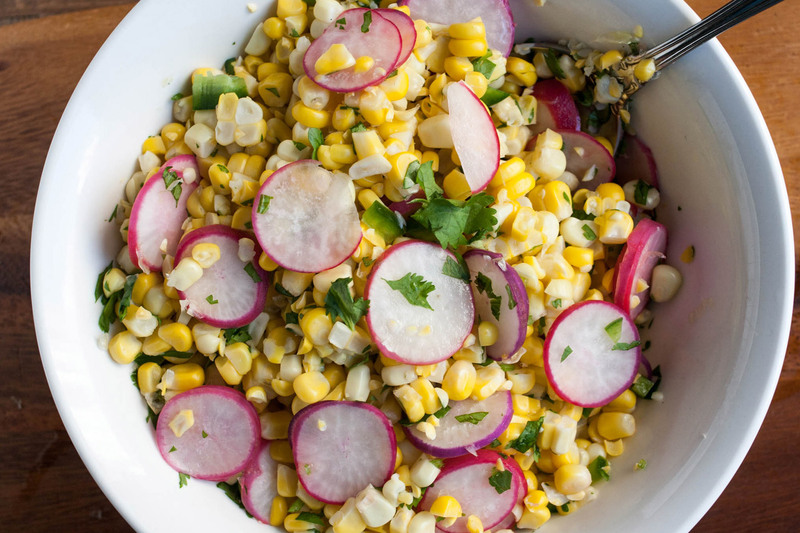 Taste the freshness of corn, radish and lime with this delicious salad. The recipe is quick and easy. Prepare a mixture by blending coarsely chopped jalapenos, fresh lime juice, honey and cumin in a blender. Add some vegetable oil while blending and season with pepper and salt. Toss corn kernels (straight off the cob), thinly sliced red onion, radish, coarsely chopped flat-leaf parsley and the jalapeno mixture. Garnish it with salt and pepper. Your salad is ready! You can pack the jalapeno dressing separately and mix it with corn and other ingredients right before you’re ready to eat. 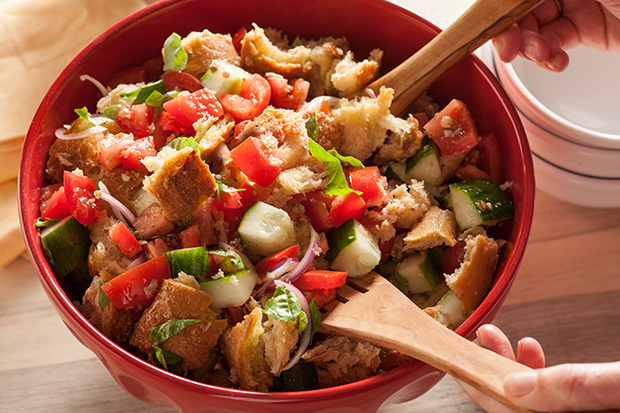 This recipe is a great way to create a delectable salad out of stale bread. Start with making big crumbs of bread (soaked in cold water for 45 minutes, water discarded). Add vine-ripened tomatoes (chopped), finely chopped red onion, fresh basil, cucumber (sliced into half moons), freshly ground pepper and Kosher salt. Keep the mixture in the refrigerator until ready to serve. Season it with red wine vinegar and extra-virgin olive oil at the time of serving. It’s time to add something sweet to the picnic basket. 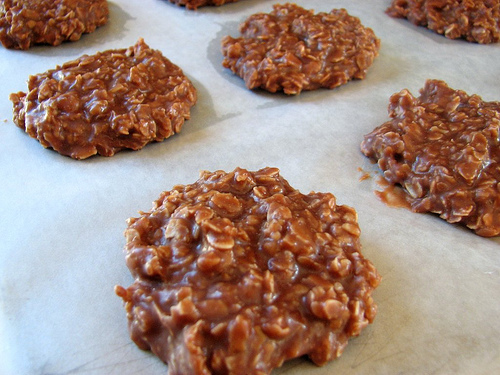 These no-bake cookies are so tempting that you can’t say no to them. They are made from only four ingredients all it’ll take is half an hour. First of, turn sweetened puffed-corn cereal to a powder using a food processor. Add creamy peanut butter and peanut butter cups to the powder and process until it becomes glossy (for about 2 minutes). Secondly, add some more corn cereal to the mixture and process it until the mixture comes together. Next, remove the mixture from the food processor and roll it back and forth to create a log. You can use a plastic wrap for rolling the mixture. Lastly, spread some sprinkles and roll the log in them to make a top layer of sprinkles. Refrigerate the log until set. After removing the log from the refrigerator, cut it into small pieces. Yummy cookies are ready to be served! Get ready for an alfresco meal with these no-cook, easy-to-make dishes. They are simple, yet mouth-watering. Include these awesome food items in your picnic menu and have fun without having to be hunched over a stove to cook for long periods of time.